It's hard to imagine that this is a political issue, but it's a very hot one! Here's a question that's almost as old as the one about the chicken and egg. If too many kids are failing a test, is the test too hard, are kids not working hard enough, or are they not being taught sufficiently well to master the material necessary to pass? Across the spectrum from education to business to sports, and now to Internet access, this type of question gets asked thousands of times when, for any number of reasons (some of them even good ones), defined benchmarks are missed. Section 706(a) of the Telecommunications Act of 1996 (Pub. L. No. 104-104, § 706(a), 110 Stat. 56, 153) requires the FCC to determine whether broadband or "advanced telecommunications capability" is being deployed to all Americans in a "reasonable and timely" manner. If the FCC determines that this deployment is not occurring as required by law, it's required to "take immediate action to accelerate deployment of such capability by removing barriers to infrastructure investment and by promoting competition in the telecommunications market." In August, the FCC issued a request for comments in its "Thirteenth Section 706 Report Notice of Inquiry. In the initial comment period, which ended Sept. 22, the commission received a whopping 22 million comments. The reply comments period runs until this Friday, Oct. 6. The volume of comments alone indicates just how critical the issue of broadband deployment is -- not only to consumers and the parties that represent their interests, but also the providers, which would love nothing more than a lower standard of service delivery that would be easier to achieve and less costly to deploy. Some historical context will be useful. Internet speed and access is, as it turns out, a hot political issue (think powerful lobbyists and shareholder return on investment versus consumer interests). The FCC during George W. Bush's tenure accepted that broadband deployment was proceeding in this "reasonable and timely" manner, as noted in this piece by Ars Technica. However, under the Obama Administration, the FCC, under new leadership, believed that deployment was not proceeding at an acceptable speed -- particularly in rural areas. 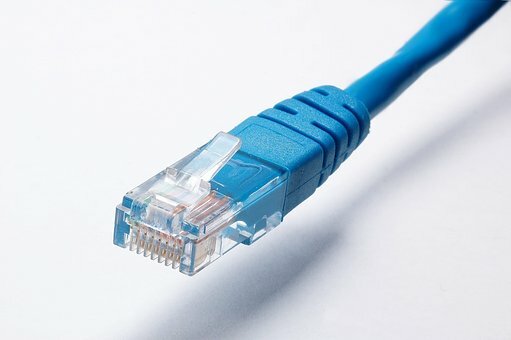 During this time, mobile broadband (10 Mbps/1 Mbps) was NOT considered to be an adequate substitute or replacement for an Internet connection provided by cable, fiber, or other possible technologies. This mobile standard is the one that the current FCC chair has suggested is acceptable. I suppose this standard is better than nothing, but the difference only serves to further separate rural subscribers from urban ones. One of the most important -- and controversial -- elements of the Open Internet Order of 2015 classified broadband as a "telecommunications service" and not an "information service," thus subjecting broadband to additional regulatory burdens. As a "telecommunications service," broadband is subject to common carrier regulations that provide the FCC with the power to ban blocking, throttling and paid prioritization, among other tools to try to maintain a level playing field. With a new administration whose priority has been to potentially overturn the 'Net neutrality decision, this backing off of the rules may be the route the FCC takes. Commenters have been overwhelmingly negative to this approach. Particularly in rural communities where the delivery of reliable broadband has been a challenge in the best of circumstances, a policy regression that this proposal represents is not a step forward. If you've ever waited for a page to load on a mobile device when you're used to high-speed service at home, it's easy to understand that this proposed changing of the rules is not only disappointing, but serves to further separate the digital "haves" from the "have nots." A couple of months ago, I wrote about the impact that J.D. Vance's book "Hillbilly Elegy" has had on my thinking about how broadband services are -- or should be --provided in the rural U.S. Three words -- "public private partnership" -- are essential to any successful broadband deployment in these areas, as Dale Mullen, a retired telecommunications consultant and fierce advocate for rural and municipal broadband, thoughtfully commented to me earlier this month. "Simply put, providers can't build a business case -- i.e., get a return on investment -- for rural broadband. Rural broadband justification is a combination of factors including lifestyle, education, health care, economic development, competition, and subsidy. Public funding has to build the infrastructure components and provide access to the publicly constructed infrastructure at reasonable rates so that sustainable broadband service can be delivered at a reasonable cost to consumers." Is revising the definition downward to allow for a less robust product the answer? I can't imagine that anyone --with the exception of the providers that don't want to meet the standard -- thinks this is a good idea. Dumbing down the standard -- regardless of the field -- is rarely a good foundation for future growth and development.